11/2018 SeqOthello accepted by Genome Biology journal (Impact factor: 13.2). 6/2018 Hu-Fu (虎符) accepted to MobiCom 2018. 5/2018 NetCP accepted to IWQoS 2018. H2Cloud accepted to ICPP 2018. 3/2018 Othello Hashing accepted to ToN --only three months after submission. Fastest speed and least memory cost among all network lookup algorithms. I am an Assistant Professor in the Department of Computer Engineering at University of California Santa Cruz. I primarily work on the fundamental problems of computer networks, systems, and security. I received the NSF CAREER Award in 2018. I was an assistant professor in the Department of Computer Science at University of Kentucky, and a faculty member of the Laboratory for Advanced Networking during 2013-2016. I received my Ph.D. in Computer Science from University of Texas at Austin in 2013. My advisor was Simon S. Lam, meaning I am a part of the Leonard Kleinrock's family tree. I am the recipient of the James C. Browne Graduate Fellowship in 2012 (list of Browne Fellowship awardees for 2001-2012). I interned at AT&T Labs-Research in May-Aug, 2012. I got my M.Phil. from Department of Computer Science and Engineering at Hong Kong University of Science and Technology, where I worked with Prof. Lionel M. Ni (now Provost at University of Macau), and also had close collaboration with Prof. Yunhao Liu (now Dean of School of Engineering, Tsinghua University). I received my Bachelor's degree (highest honor) from Department of Computer Science, Nanjing University in 2006, under the supervision of Prof. Jiafu Xu and Prof. Fangmin Song. I was born in Suzhou, Jiangsu, China. [ToN] Minimizing Controller Response Time Through Flow Redirecting in SDNs, in IEEE/ACM Transactions on Networking. [INFOCOM'18] Trio: Utilizing Tag Interference for Refined Localization of Passive RFID. [SIGMETRICS'11] [ToN] [ICNP'12 Keynote Speech] Geographic Routing in d-dimensional Spaces with Guaranteed Delivery and Low Stretch, in Proc of ACM SIGMETRICS, 2011. Acceptance Rate: 14.7%, extended version in IEEE /ACM Transactions on Networking (ToN) [PDF] Simon Lam's keynote speach at IEEE ICNP 2012 about Multi-hop DT Routing [PPT]. [TPDS] Longer version in IEEE Transactions on Parallel and Distributed Systems (TPDS). 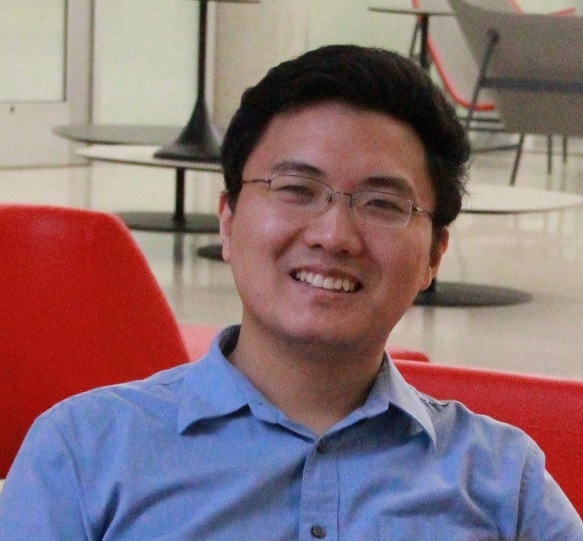 Minghao Xie (PhD 2018-) BS Sichuan Univ. Co-advised with Heiner Litz. Xin Li (PhD 2013-2018) UCSC Dissertation Year Fellowship. Now with VMWare. Ye Yu (PhD 2013-2018) Best PhD student Award at UKY. Now with Google. Yu Zhao (PhD@UKY 2016-) BS Jilin Univ, now mainly advised by Tingting Yu due to my leave from UK. Sanjay Krishna Gouda, (MS 2018), now with BBN Technologies. Naishil Shah (MSc 2018) now at Cisco. Jonathon Steelsmith (BSc 2018), Vincent Kim (BSc 2018). Sean Gordon (BSc 2018), Masaya Takahashi (BSc 2018), Jose Sepulveda (BSc 2018). Yueqi Chen (BSc 2017), now PhD student at Penn State.